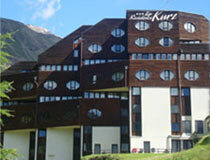 of Kurzras SPA – Top Residence Kurz („company“), having registered office in I-39020 Val Senales, Maso Corto 115. The following declaration contains important information about how we collect and process data on our our blog http://www.apartments-maso-corto.com (hereafter referred to as „services“ or „products“). Cookies are small text files that can be used by websites and sub-domains to make the user’s experience more efficient, to facilitate navigation or collect information for statistical purposes. The website provider automatically collects and stores information that your browser automatically transmits to us in “server log files”. These are: browser type and version, operating system, referrer RL, hostname of the accessing computer, time of the server request, IP address. These data are not combined with other data from other sources. This website uses Facebook Social Plugins (operator: Facebook Inc., 1 Hacker Way, Menlo Park, CA 94025, USA, and in the EU, Facebook Ireland Ltd., 4 Grand Canal Square, Grand Canal Harbour, Dublin 2, Ireland (“Facebook”)). We do not offer our services to minors below the age of 14. If you have supervisory responsibilities for a minor and notice that he or she has transmitted data to us without our consent, please contact us immediately (Phone +39 0473 662220, info@topresidencekurz.it), so that we can assure the legal measures in the interest of the minor.